A lot of tourists think of Kyoto or maybe Osaka when they plan a trip to the Kansai region of Japan. Many people don’t seem to know that there’s so much more to explore other area in Kansai region. Otsu City is just a few minutes away by train from Kyoto and will offer some very interesting sights. Emperor Temmu founded Onjoji Temple at the foot of Mount Hiei in 672 in tribute to his murdered brother. About 200 years later, it became known as Miidera temple. Miidera Temple is famous for its national treasures and important cultural properties, including one of Omi Hakkei, Mitsui's The Last Bell. The construction of Lake Biwa Spring is 1885. After the completion of Kyoto when the capital moved to Tokyo was completed, it was used for the water transportation industry and Japan's first hydroelectric power generation (for business use), etc., greatly contributing to the modernization of Kyoto. Lake Biwa, which carries the water of Lake Biwa to Kyoto, is a canal built using the best civil engineering technology of that time in the Meiji era. The best time to see cherry blossoms in spring is from the beginning of April to the middle of April. 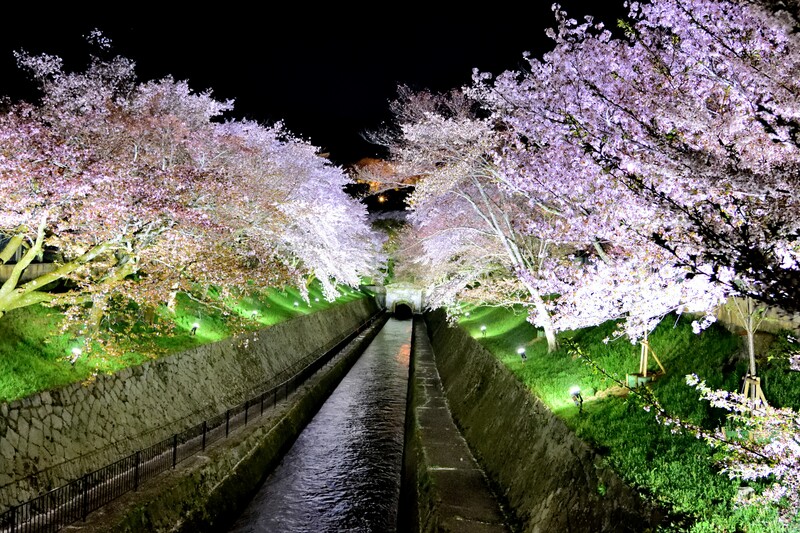 A row of approximately 500 cherry trees are lined up on both sides of the water channel. 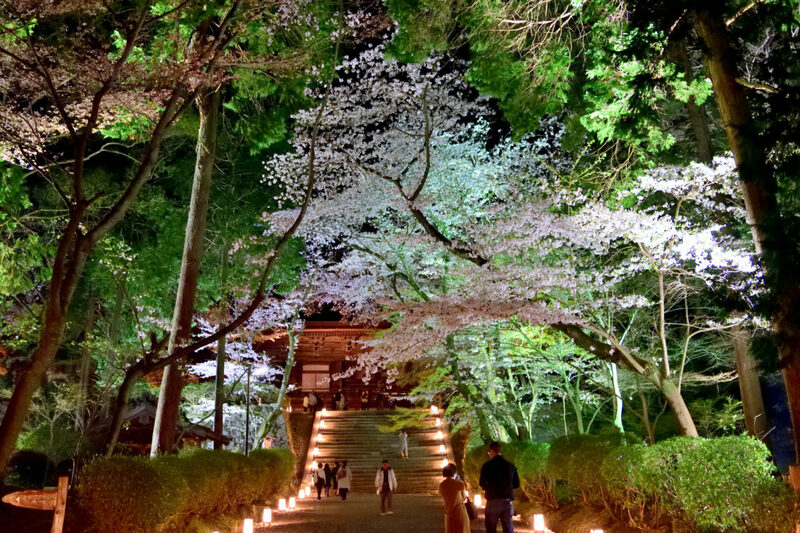 One is lit up from under the trunk of the cherry tree, and the cherry blossoms floating in the night sky create a fantastic landscape. The cherry blossoms are beautiful in the lake water flowing spring. Miidera Temple is located at the foot of Mt. Hiei in Otsu City, Shiga Prefecture (map). It’s not too far from Kyoto City, so it makes a great day trip!